The Whitehouse Wind Symphony was founded by conductor emeritus Casey Bork in 1996, and is now under the direction of James P. Sheeley, Jr. Since its founding, the Symphony has grown rapidly, attracting experienced musicians as regular members from all over New Jersey, as well as New York City and eastern Pennsylvania. 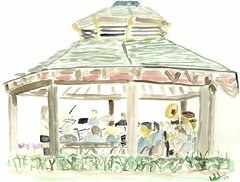 The group is now comprised of approximately 50 amateur and professional musicians who perform together regularly to enthusiastic audiences throughout Central and Northern New Jersey. The group holds weekly rehearsals on Tuesday evenings in the parish hall of St. John's Episcopal Church in Somerville. The Symphony is dedicated to presenting the best in all varieties of wind band literature, especially pieces written or arranged for bands during the first half of the 20th century, widely recognized as the "Golden Era" of concert bands in America. The Symphony's repertoire also includes popular tunes, Broadway show scores, marches from around the world, and selections written for and exclusively performed by the ensemble. On many occasions, the Symphony has performed selections written expressly for the band by current band members. Whitehouse Wind Symphony concerts are developed around a mix of themes that both challenges the audience as well as the players. The annual children's concert and holiday concert series are two of the most highly anticipated events presented by the Symphony. Over the past few years, the Symphony has performed in Chatham, Chester Clark, Clinton, Cranford, Flemington, Franklin, Hillside, Oxford, Pattenburg, Peapack, South Plainfield, Readington, Somerville, Springfield, Tewksbury and Whitehouse Station. 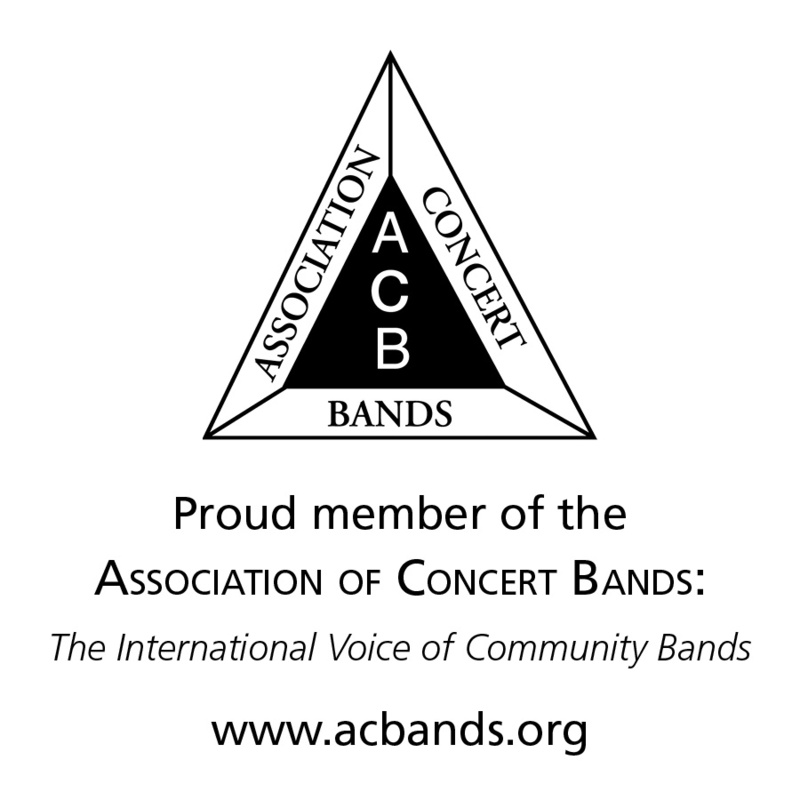 The Whitehouse Wind Symphony is a member of the Association of Concert Bands. James P. Sheeley, Jr. was selected as only the second conductor of the Whitehouse Wind Symphony in 2012. A long time member of the trombone section and occasional assistant conductor, Jim brings a wealth of experience to the podium. A Pennsylvania native, Jim graduated with a Bachelors of Science in Music Education from Mansfield State College. He completed a Masters of Music in Instrumental Music from Mansfield University and a Masters of Educational Leadership from The College of New Jersey. 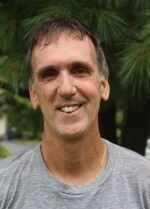 Jim taught instrumental music for 34 years in several New Jersey School districts. He also served as Director of Visual and Performing Arts for the Newark Public Schools. Jim prepared award-winning ensembles in all genres of public school music education. Jim also performs professionally as a trombonist and is often called upon to serve as an adjudicator of band festivals and competitions. He and his wife Alaine live in Branchburg with their five children Kelcey, Gracie, Reilly, Colin and Addy. "Our philosophy is to provide a high-level playing experience with emphasis on reading many varied selections from new and old literature. Players should be accomplished, prepared, and willing to play any section position that contributes to the overall sound and balance. Although accuracy is a highly valued goal, our primary aim is to make exciting, passionate music for the joy and growth of the players." Click here to view the Bylaws of the Whitehouse Wind Symphony. Band members can access exclusive information about the band through our Shutterfly Share Site. The Whitehouse Wind Symphony is recognized by the Internal Revenue Service as a 501(c)(3) tax-exempt non-profit educational association.